Andrew Roberts examines the extraordinary life of Winston Churchill in Roberts’s new book, Churchill: Walking with Destiny. 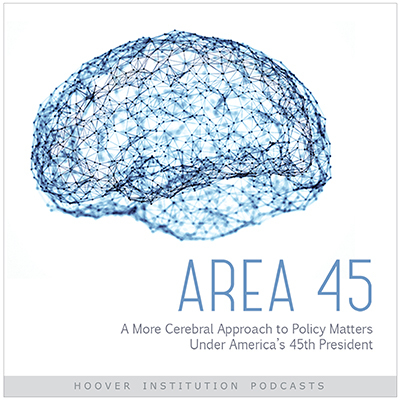 Haley Barbour and C. Boyden Gray reminisce about the life and legacy of George H. W. Bush's presidency and how future generations will remember him. Former speechwriters and a former ambassador join together to remember the legacy of President George H. W. Bush. What are the myths of economic inequality, and why is socialism often posed as the solution? H.R. McMaster and Janan Mosazai discuss the current state of Afghanistan, it’s position in the Middle East and Asia, and the path forward for the country. Be notified when an new episode is released. For more than two decades the Hoover Institution has been producing Uncommon Knowledge with Peter Robinson, a series hosted by Hoover fellow Peter Robinson as an outlet for political leaders, scholars, journalists, and today’s big thinkers to share their views with the world. Guests have included a host of famous figures, including Paul Ryan, Henry Kissinger, Antonin Scalia, Rupert Murdoch, Newt Gingrich, and Christopher Hitchens, along with Hoover fellows such as Condoleezza Rice and George Shultz. The show started life as a television series in 1997 and is now distributed exclusively on the web over a growing network of the largest political websites and channels. To stay tuned for the latest updates on and episodes related to Uncommon Knowledge, follow us on Facebook and Twitter.